This amazing Kashmir Shawl is huge. It is pure wool. 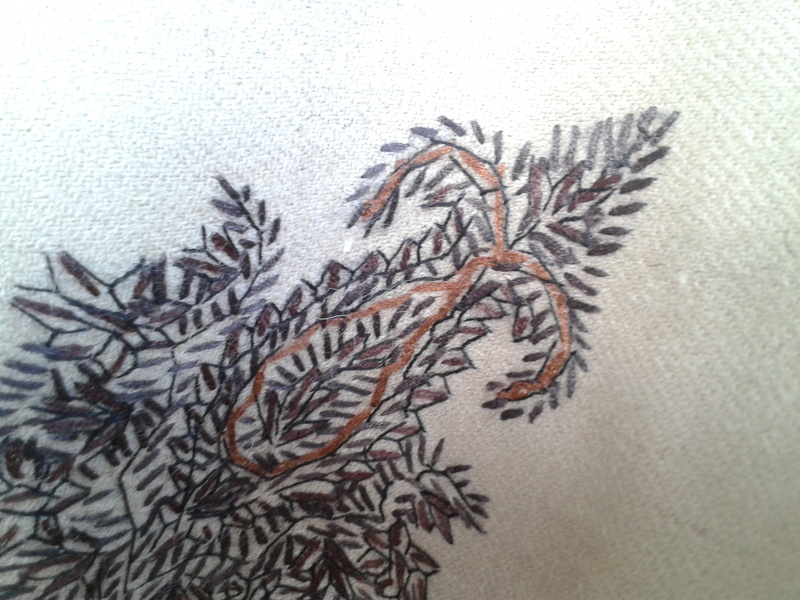 And it is beautifully embroidered. 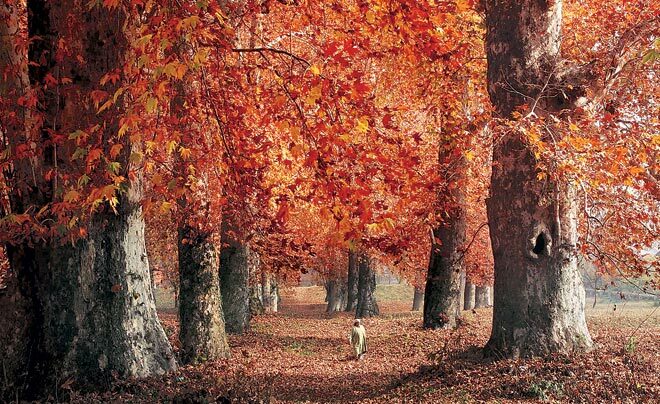 The fire of the Chinar is reknowned in Kashmir. Myths and legends abound in its branches, weave through its roots, whisper and waft to the tips of its twigs. Platanus Orientalis. Flame orange, scarlet, crimson. Read this fascinating piece in The Free Press Kashmir here. This is a very important tree. It symbolises so much for the Kashmiri nation. And if you want to look fabulous, and feel warm, and wear wisdom.